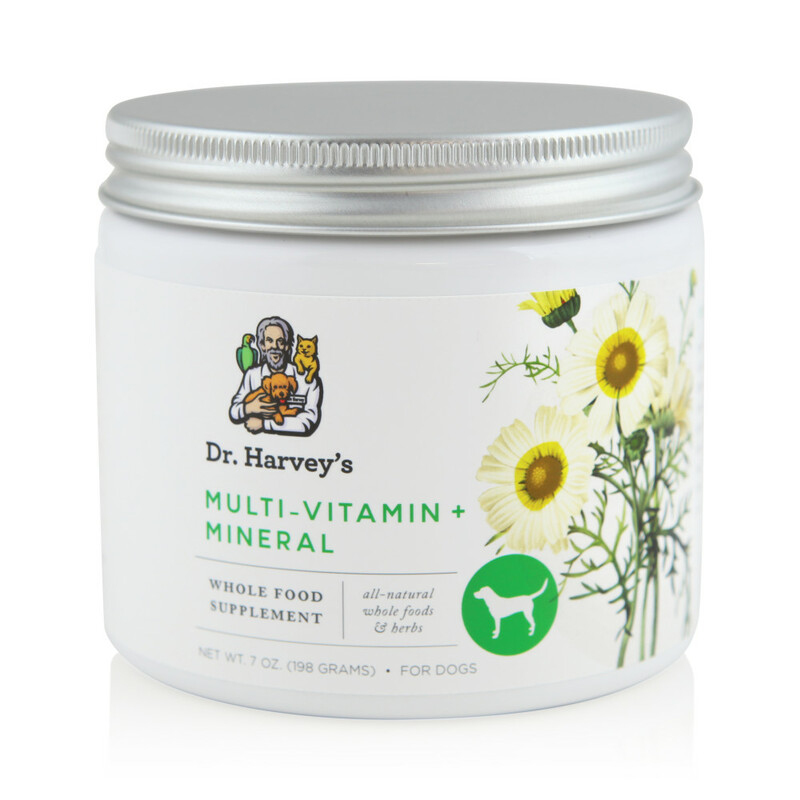 A Natural Whole food Herbal Multi-Vitamin and Mineral Dr. Harvey’s Multi-Vitamin and Mineral Herbal Supplement is the perfect herbal powder for daily use. It is important to make sure that your dog has the necessary vitamins and minerals in his or her diet every day. Dr. Harvey’s easy to use herbal powder contains all the vitamins and minerals necessary to achieve optimal wellness in your companion. Because Dr. Harvey’s Multi-Vitamin and Mineral Herbal supplement is a powder, it can easily be added to the all-natural diet that you are currently feeding.